From deep plum table runners to brilliant ivory window treatments, textiles add a sense of depth and comfort to any room. Textile trimmings enhance this depth and brilliance by complementing or contrasting the dominant fabric. When choosing a textile trim, try thinking beyond color. For example, a deep plum-colored, ribbed textured table runner is easily enhanced by adding dark velvet piping to its edges. For a different look, an eye-popping bright yellow ribbon could accent, not only the dark fabric, but its rugged texture as well. Often, designers overlook the variety of textures that various textiles provide. A plush pillow takes on a masculine edge when trimmed with thick cord. A sturdy canvas chair appears warmer when trimmed with brocade. Texture adds an entirely new dimension to fabric design. Although playing with contrast is always fun, you might consider complementing soft materials with a gentle teardrop trim. Sturdy materials usually lend themselves to thick piping but choosing shiny piping might perk things up a little. Before re-upholstering tired pieces of furniture, consider updating the trim. 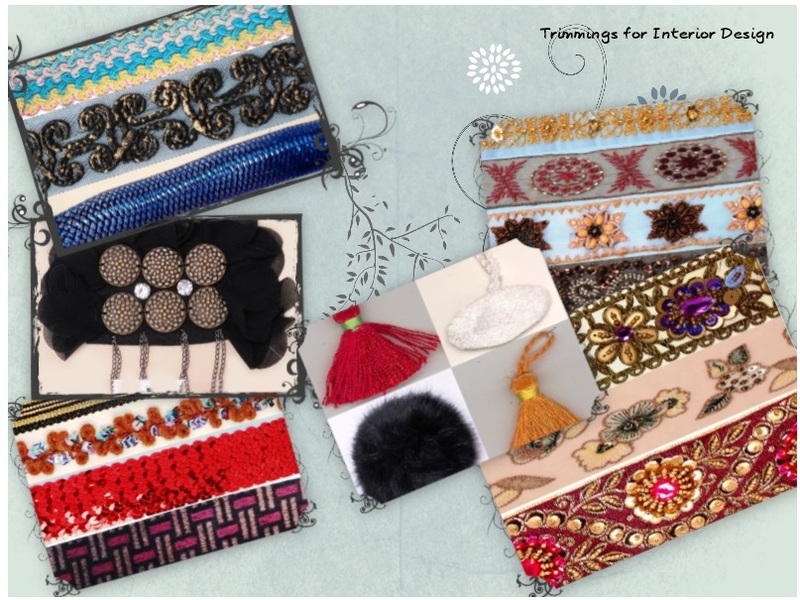 Options include cording, braid and even beads. To really step out of the ordinary, choose tassels for window treatments and lamp shades. Whether your reside in a classic Craftsman, bungalow, or mid-century rancher, choosing arts and craft-style, textile trimmings will provide your home with a sense of comfort and beauty. With many types of patterns and textures to choose from, you can create a style that suits both your tastes and your home's design. For more information on creative possibilities, please contact us.